For more than 15 years, Honda has offered the Pilot to American families who require three rows of seating, lots of interior and cargo space, and light off-roading and towing capabilities. That formula remains in place for the 2019 Honda Pilot, which gets a freshening that updates its appearance, technologies, and equipment. Available in LX, EX, EX-L, Touring, and Elite trim levels, the 2019 Pilot seats up to 8 people. Prices range from $32,445 for the LX with front-wheel drive to $49,015 for the Elite with all-wheel drive (AWD). Honda dealers offer a variety of accessories for the Pilot, pushing prices even higher. I spent a day driving the Pilot Elite, which includes a standard torque-vectoring AWD system. Routes included suburban, mountain, country, and freeway environments, with an off-roading course and a towing demonstration to showcase the Pilot’s hidden talents. The 2019 Pilot looks much the same as the 2018 Pilot, save for minor front and rear styling changes, new standard LED headlights with automatic high-beam operation and redesigned aluminum wheels that are intended to give the SUV a more rugged appearance. Especially in lower trim levels, the modifications do little to this effect. Touring and Elite versions have larger, bolder 20-inch wheels, which lend the Pilot some visual presence. Inside, the Pilot is essentially the same. There is a new steering wheel, the driver and front passenger get wider armrests, and second-row captain’s chairs are now available for the Touring trim in addition to the Elite trim. All but the LX and EX gain second-row sunshades. Generally speaking, the changes don’t move the needle in a significant way. The Pilot still lacks panache on the outside, and remains brilliantly functional on the inside. All versions of the 2019 Pilot gain new standard equipment. The base LX version includes LED headlights and running lights, automatic high-beam headlights, and the automaker’s HondaSensing suite of driver-assistance and collision-avoidance technologies. 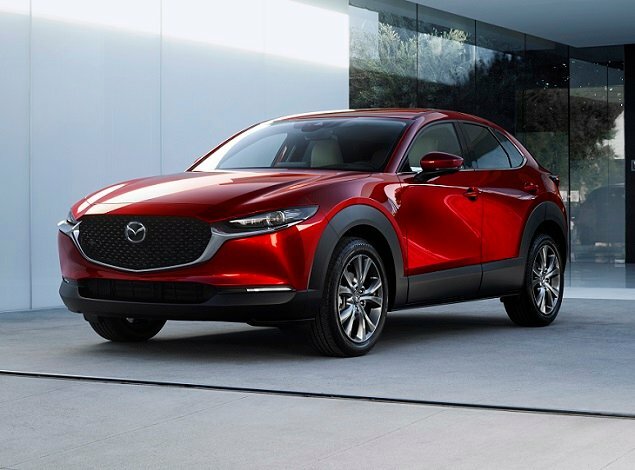 Step up to EX trim for a new Display Audio infotainment system, a CabinControl smartphone app, blind-spot monitoring and rear cross-traffic alert, an 8-way power driver’s seat, heated front seats, automatic up/down power windows, and one-touch second-row seat operation. On the outside, the EX also has a unique 18-inch wheel design and turn signals embedded into the outside mirrors. The popular Pilot EX-L continues to offer leather seats and other upgrades, along with a new memory function for the driver’s seat and side mirror settings, second-row sunshades, and a HomeLink garage door opener. Install the EX-L’s optional navigation and rear-seat entertainment package and it comes with a new CabinTalk in-vehicle communication system and a new Blu-Ray disc player. Touring trim adds heated second-row seats and LED high-beam headlights for 2019. Second-row captain’s chairs are also a new option for this trim, paired with ambient cabin lighting. New to the 2019 Pilot, HondaLink connected service packages and a hands-free power tailgate are included with Touring trim. Elite trim adds power-folding side mirrors with an auto-dimming function, and a wireless device charger. Wireless charging is a dealer-installed upgrade for EX, EX-L, and Touring trims. The Pilot is smartly laid out, and the new infotainment system is equipped with a handy volume knob; an 8-inch touch-screen display with smartphone-style, capacitive-touch swipe, tap and pinch functions; and what Honda says are simplified menu structures and customizable menu short cuts. Additionally, the 2019 Pilot gets new instrumentation with a larger 7-inch driver information display, while a new hands-free power tailgate makes life a little easier when you’ve got the Touring or Elite trim. One of the more significant changes to the 2019 Pilot is the addition of its new Display Audio infotainment system. Included on EX and higher trims, this system includes an 8-inch capacitive-touch display, and also a volume knob where previously there wasn’t one. Now, all Honda needs to do is install a tuning knob to match it. Along with the new design and screen, this setup is equipped with new HD Radio, a 4G LTE Wi-Fi hotspot (Touring and Elite only), and a CabinControl smartphone app with which you can control various features including the rear-seat climate and entertainment system. CabinControl also allows all members of the family to contribute songs to a Social Playlist for family road trips. SiriusXM satellite radio, Apple CarPlay, and Android Auto continue from last year. Honda also says the navigation system’s voice-recognition technology is improved for 2019, but it still isn’t a natural language system, so you can’t push the talk button, say “Find the nearest Starbucks,” and expect to caffeinate yourself ASAP. Use Apple CarPlay or Android Auto and your phone for that. CabinTalk is a new technology for Pilots equipped with navigation and a rear-seat entertainment system. Using the voice-recognition system’s microphone, it allows a driver to easily communicate with rear-seat occupants via the stereo speakers or headphones in order to issue commands like: “Stop hitting your brother!” It pauses and mutes Blu-Ray discs at the same time, too, making it impossible for your offspring to ignore you. New sound systems debut this year. In the LX, EX, and EX-L, the Pilot has 6 speakers and a subwoofer with 218 watts of power. In the Touring and Elite, occupants enjoy premium sound through 10 speakers and a subwoofer with 590 watts of power. The latter system handled bass-heavy rap, reggae, and house music without a problem. Honda has also updated the rear-seat entertainment system, adding a larger screen and a new Blu-Ray disc player. With an active 4G LTE Wi-Fi hotspot, occupants can stream content to the system from a device. Alternatively, you can stream content directly via Android devices. Dual 2.5-amp USB ports, a 115-volt power outlet, and HDMI jacks are also included, along with a “How Much Farther?” app that works similar to an onboard flight tracker in order to inform kids of your progress during road trips. Another big change for 2019 is that HondaSensing is standard on all Pilots. HondaSensing equips the SUV with adaptive cruise control, a forward-collision warning system with automatic emergency braking, lane-departure warning with lane-keeping assist, and road-departure mitigation. Select the Pilot EX and you’ll get a proper blind-spot monitoring system with rear cross-traffic alert, which replaces the former LaneWatch system that only worked for the right side of the vehicle. HondaLink Security, Remote, and Concierge service packages are included with Touring and Elite trim. Security is free for one year and includes automatic collision notification, emergency calling, and more. Remote is free for three months and features speed alert, boundary alert, a Find My Car locator, a stolen-vehicle locator, and remote access to locking and unlocking functions. Concierge is also free for three months, giving owners access to a live assistant. Mechanically, the 2019 Pilot is identical to the 2018 model, with a couple of exceptions. First, the engine’s automatic start/stop system re-starts faster than before. Second, Honda has revised the Touring and Elite’s 9-speed automatic transmission to deliver smoother shifting and to start in second gear under most normal driving situations. The result of these changes is a far more agreeable driving character for Touring and Elite versions of the Pilot. Previously, the 9-speed often proved harsh, indecisive, and inappropriately responsive or sluggish. 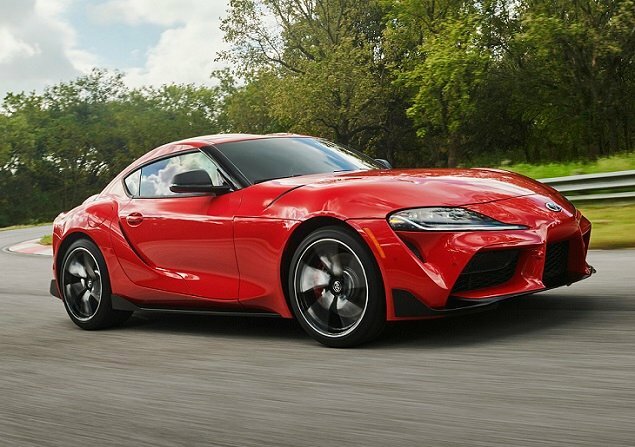 Now, those traits are apparently banished, the transmission a much better partner to the excellent 280-horsepower, 3.5-liter V-6 engine. On an hour-long loop including lots of different types of driving, the Pilot Elite returned 19.6 mpg. That’s less than the EPA rating of 22 mpg in combined driving, but the driving did include several flat-out acceleration situations while passing slower traffic heading up a mountain grade. Your results would likely be better. Climb into a Pilot Elite and you’ll immediately notice the quality Honda puts into this SUV. From the sound the doors make when closing, to the materials, to how quiet it is inside when driving 75 mph on the freeway, the Pilot Elite exudes craftsmanship. The front seats are really comfortable, too, heated and ventilated in the Elite. Unfortunately, however, the Pilot does not include a front passenger’s seat-height adjuster, even on the top trim, which closes in on $50,000. I rode in the second-row captain’s chairs and in the third-row seat, which was actually OK for a 20-minute ride. Honda does not, however, offer USB ports in the third row. In most driving situations, the Pilot proved able and agile with a communicative yet comfortable ride quality. It’s not a canyon carver, but within its adequate limits it handles securely. And if you stab the throttle exiting a turn, you can feel the torque-vectoring AWD digging in to sling the SUV out of the corner. The only complaint I have is with the braking system. After coming down a mountainside, with just two people and no cargo on board, the brakes had faded significantly during the descent. For a vehicle designed to carry 8 people, or up to 83.9 cu. ft. of cargo, or tow as much as 5,000 pounds, that’s cause for concern. Speaking of towing, the Pilot handled a 5,000-lb. trailer without issue. Passing power was limited, and it breathed harder when going up hills, but otherwise the load posed no problems. Then again, I didn’t try descending a steep grade with the trailer hooked up, so the brakes didn’t get a proper trailering workout. On the off-road course, I put the Pilot’s intelligent Variable Torque Management AWD system to the test. With four different driving modes and the ability to put up to 70% of engine power to a single rear wheel, the setup is capable on moderately difficult terrain. 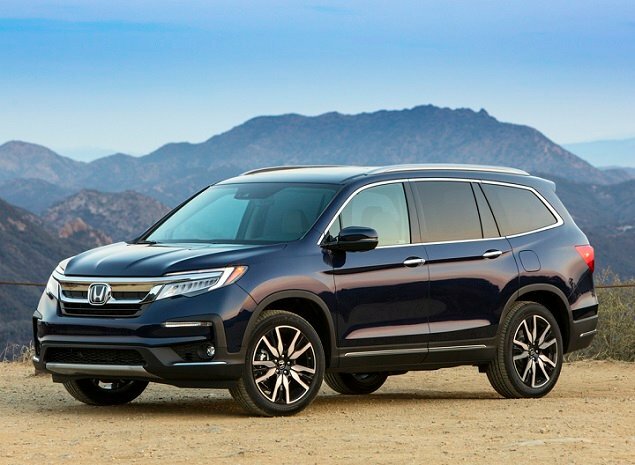 Only the Pilot’s middling 7.3 inches of ground clearance and relatively shallow approach, breakover, and departure angles should cause pause on trails that have not been custom-tailored by Honda. No doubt, Honda has improved the Pilot for 2019. It might look largely the same, but the updates and upgrades collectively carry a significant impact. 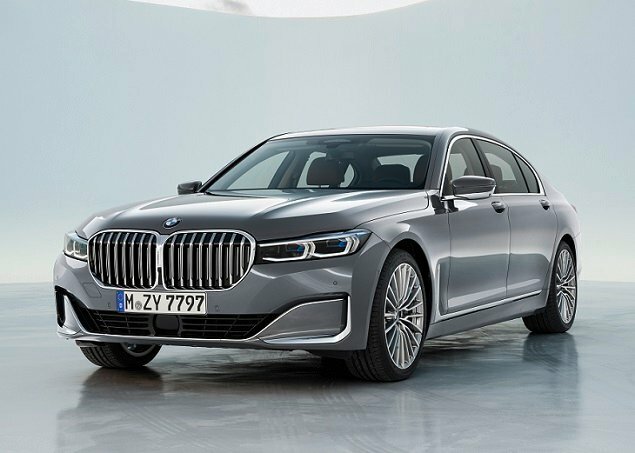 With a radio tuning knob, natural-voice-recognition technology, USB ports for the third-row seat, and an available heated steering wheel, it would be even better. Those, however, are minor issues. The major one relates to the Pilot’s brakes, which based on this drive simply are not up to the task of carrying lots of people, or things, or trailer weight, regardless of the fact that the Pilot is otherwise equipped for the job.